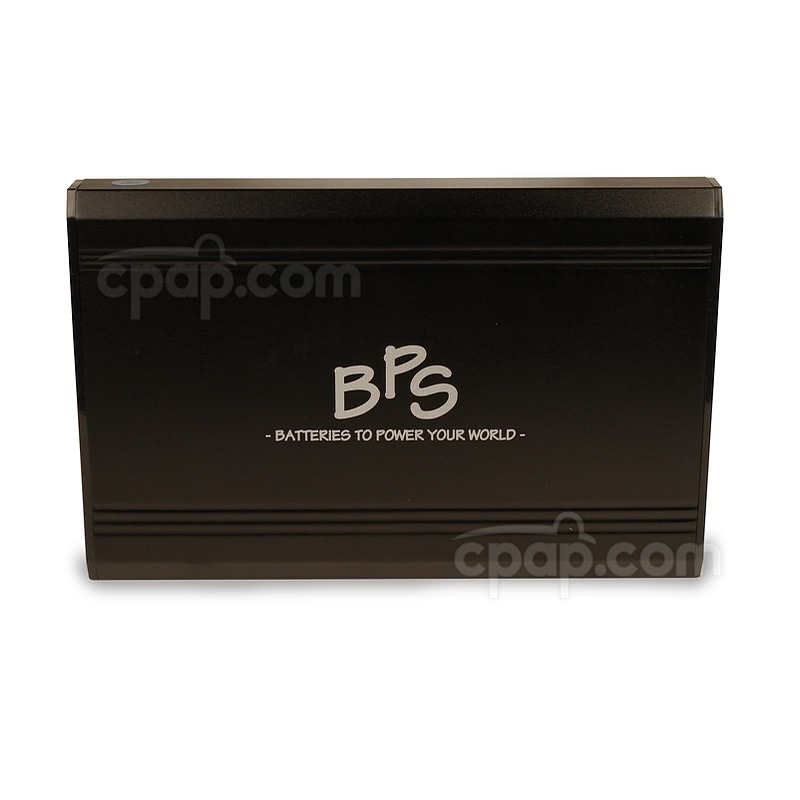 " I took this camping and it worked perfect the entire night, a little charge on my automobile battery the next day and it worked perfect for the second night. " 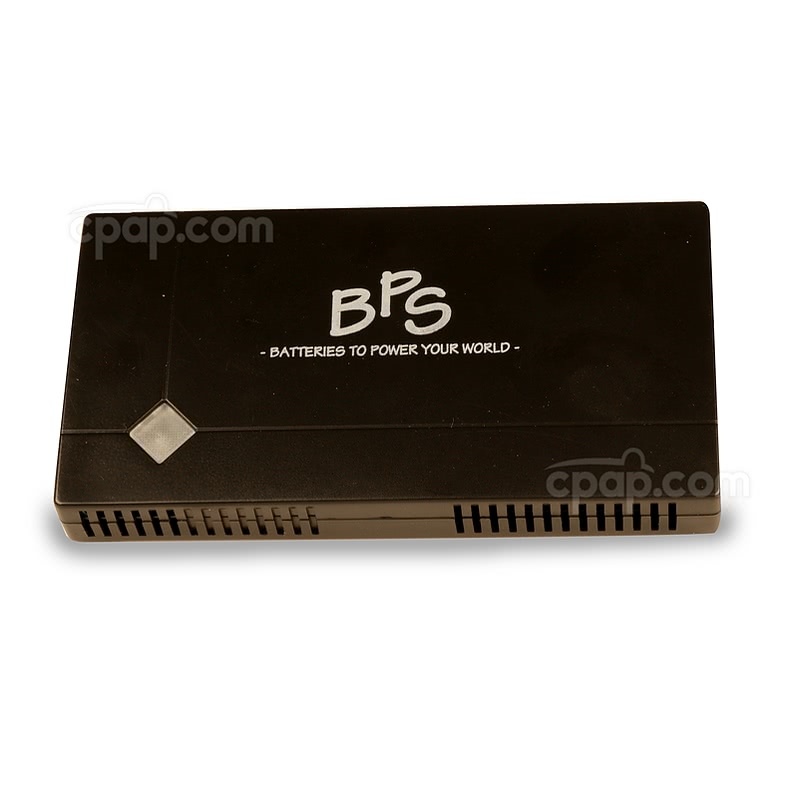 Looking for a compact battery and inverter to provide AC power to devices on the go? 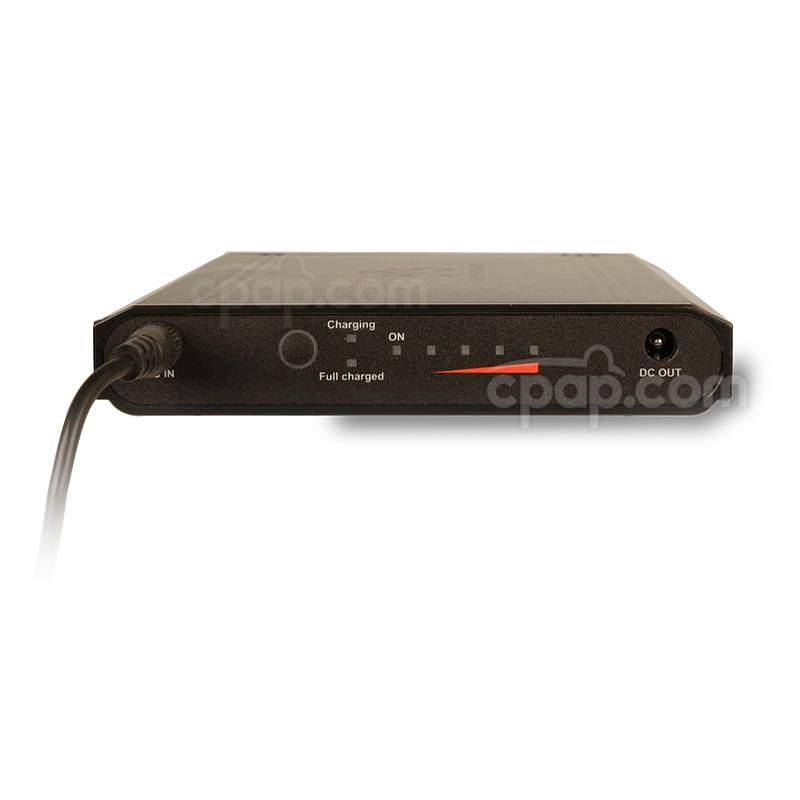 The C-100 Travel Battery Pack for CPAP Machines with 150W Modified Sine Wave Inverter does just that. 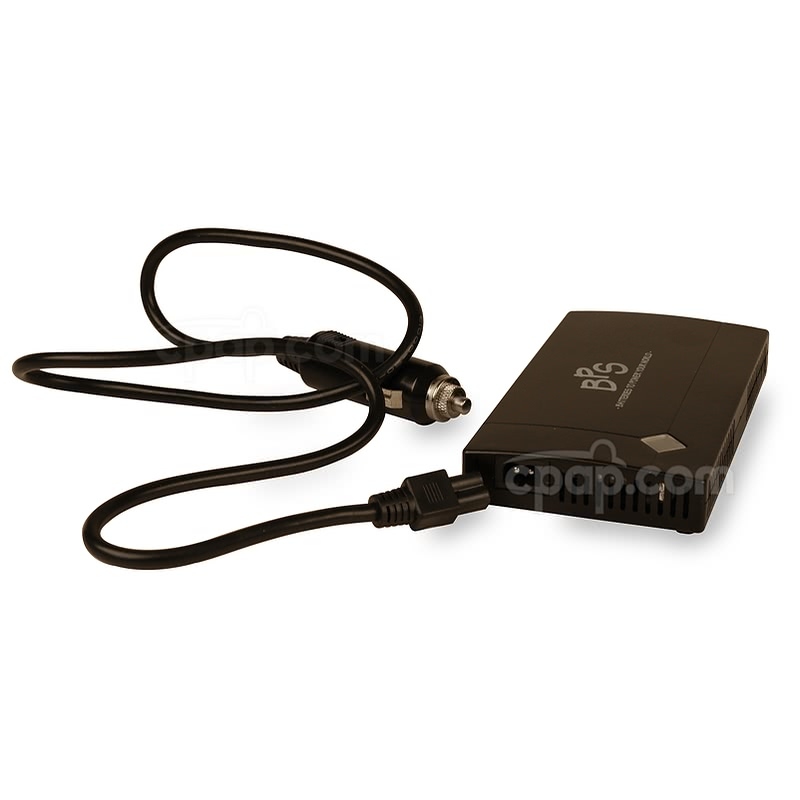 Included is the small and lightweight C-100 Battery which packs many features in a travel-sized, useful package. 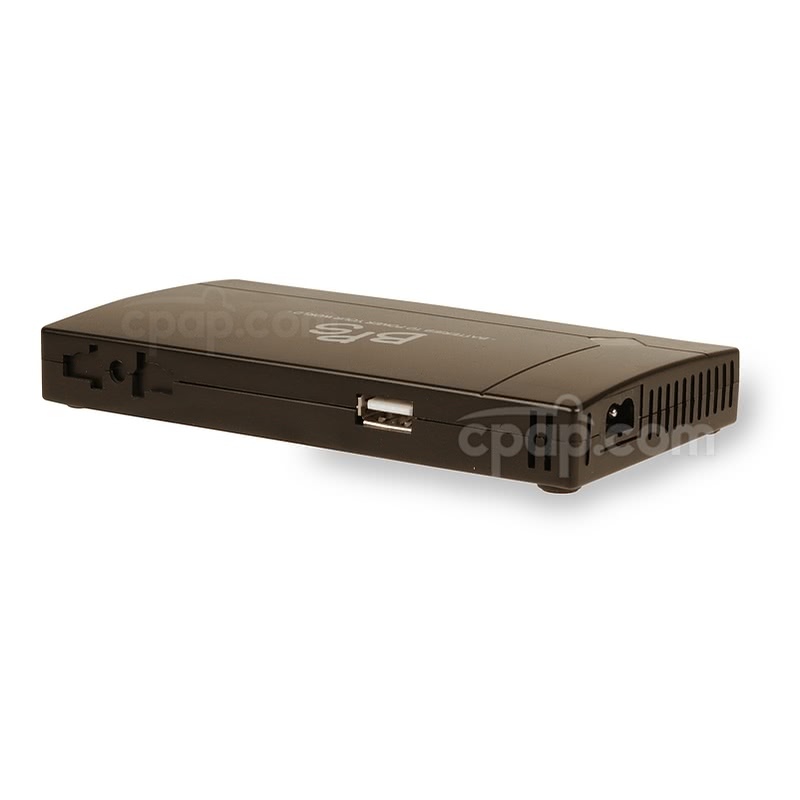 The C-100 Travel Battery Pack for CPAP Machines with 150W Modified Sine Wave Inverter is a combination of the C-100 Battery and 150W Inverter. This combination provides options to use the battery to power devices which require AC power, and also allows the battery to be charged from a DC source. The inverter inverts DC power to AC power, allowing for charging of the C-100 battery from a DC source. To do so, plug the cigarette-style cord from the inverter into a DC outlet, then plug the C-100 battery charger into the AC outlet on the inverter and then into the battery. The lights on the end of the C-100 battery indicate if the battery has completed charging or not. Please note the charge time from a completely drained battery is 4-5 hours, so it is not recommended to attempt fully charging the battery from a DC power source that could completely drain during the charging process. 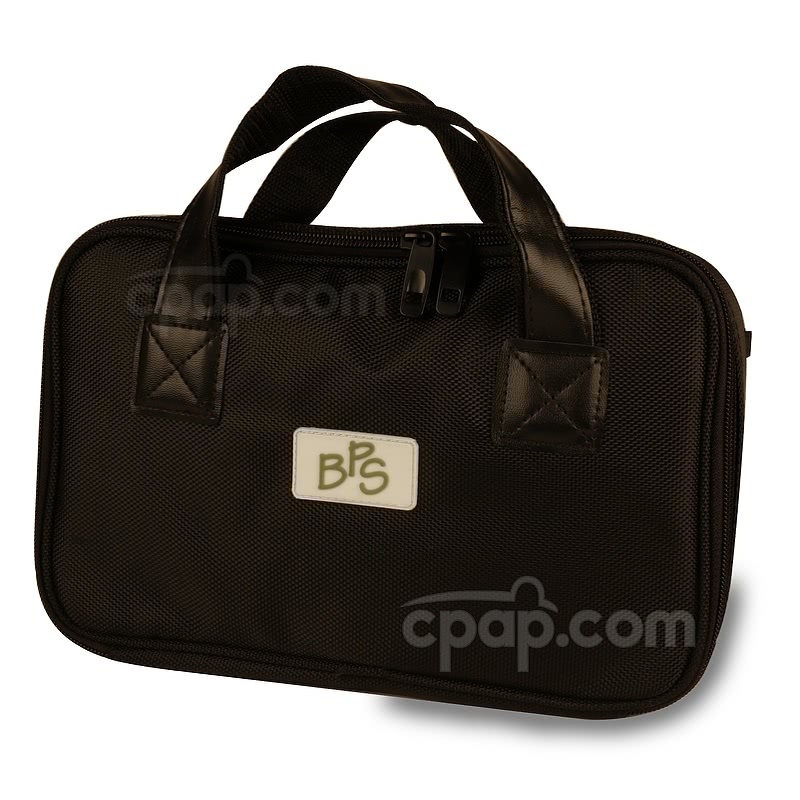 The C-100 carry bag is designed for ease of use. There are two interior envelopes with Velcro closures to hold two C-100 battery cells inside the bag. On one end of the bag is a clear flap to quickly view charging status and charge level. The battery can be used and charged inside the bag. 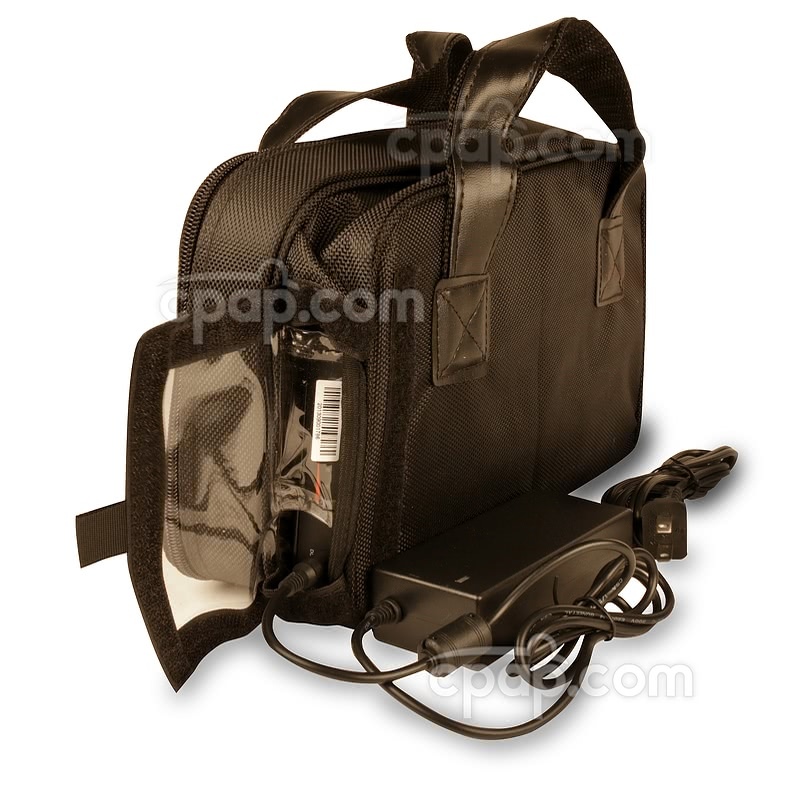 The included inverter can easily fit inside the bag to be taken along if needed. 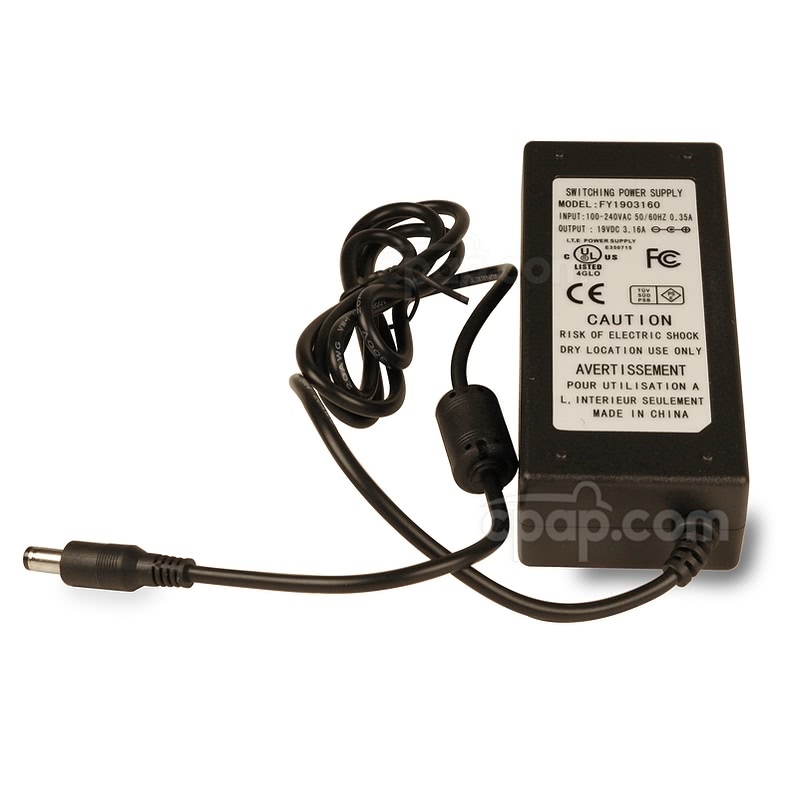 This C-100 battery kit includes all necessary components to charge the battery from an AC or DC source, and to use the battery as a DC source for compatible devices, or to be inverted into an AC source for AC only devices. Although the 150W inverter will provide an AC power outlet to plug the AirSense or AirCurve 10 power supply in to, it will provide a very low run time in this configuration. It is NOT RECOMMENDED to use the inverter to power these machines. 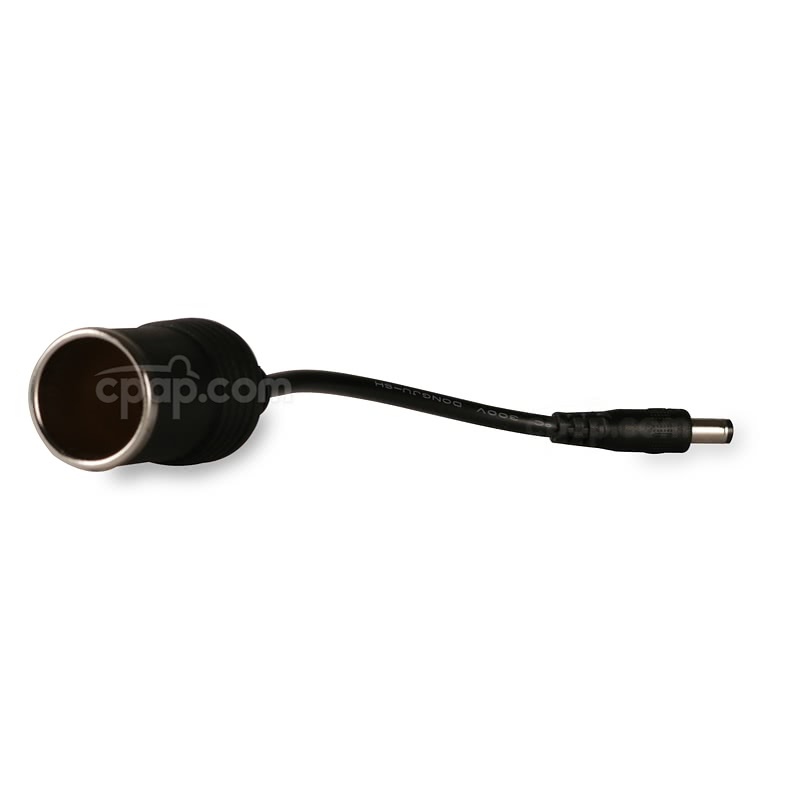 Instead use the AirSense and AirCurve 10 24V Power Converter for C-100 Battery. Just need DC power, not AC power? 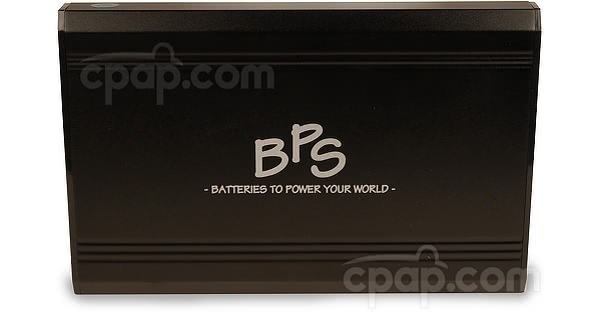 The C-100 Travel Battery Pack for CPAP Machines is the same package without the added inverter. Connect the charger to a AC outlet. Once fully charged, disconnect the charger from the battery and AC outlet. Estimate 4 to 5 hours to charge when battery is fully discharged. 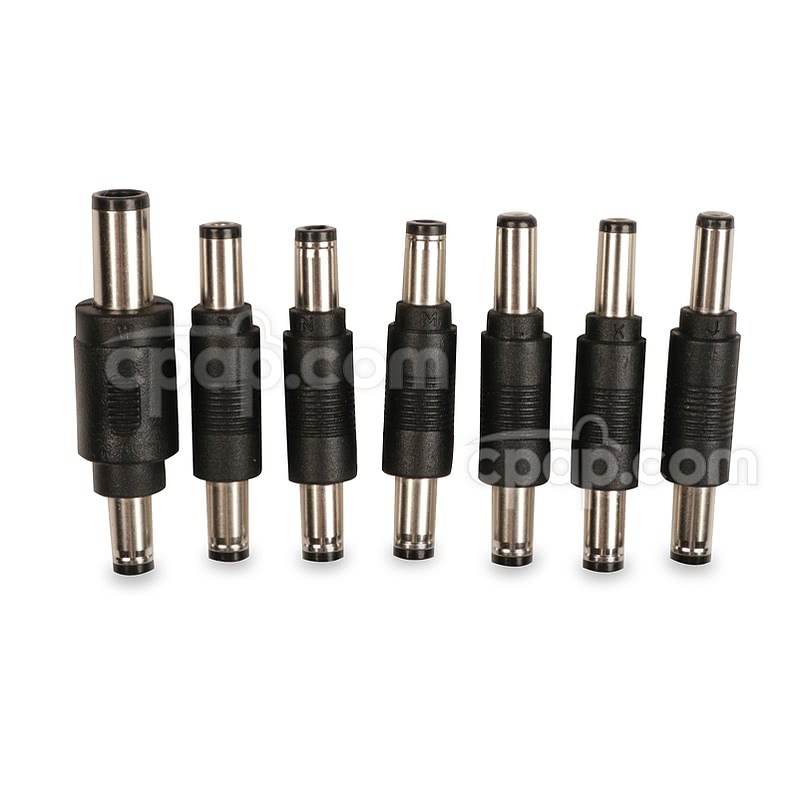 Charging from DC Source: Purchase the optional DC to DC Cable for C-100 Travel Battery Pack to charge the battery directly from a DC source using a cigarette lighter style outlet. Also, the C-100 battery may be charged using the included inverter to change DC current into AC current. Plug the charger cord into the standard outlet on the inverter to charge the battery. The C-100 battery and Freedom battery are compatible and may be used together in dual configuration to power a CPAP device. 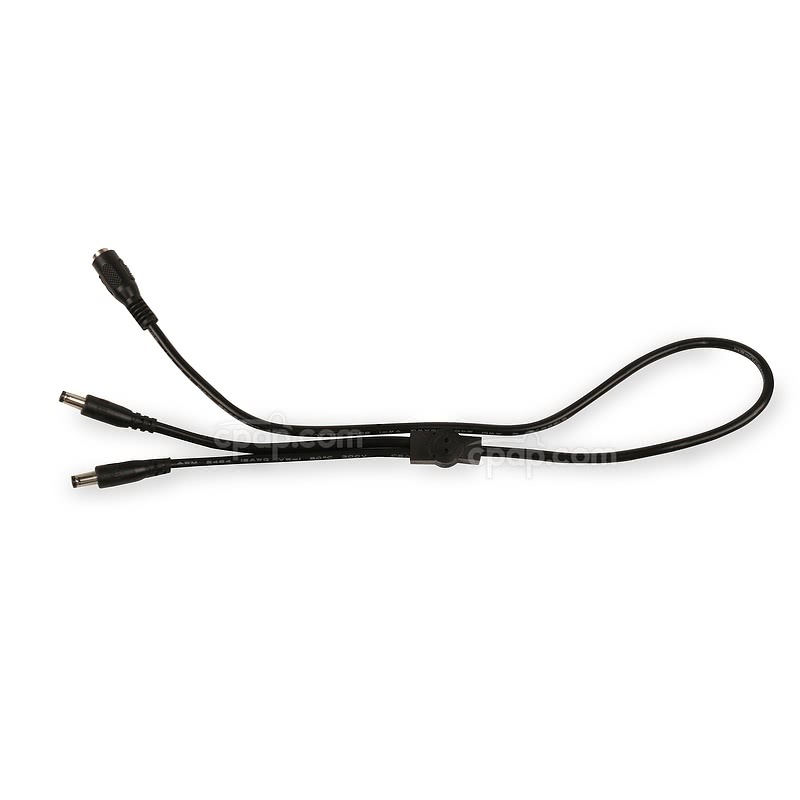 Use the DC Power Pigtail Cord for C-100 & Freedom Travel Battery Packs for CPAP Machines to pair the batteries to the unit. Battery Run Times: Run times will vary greatly depending on several factors: device pressure, use of a heated humidifier or heated tube, use of a inverter or converter, and altitude. Use of the included inverter will reduce the run time of the battery by nearly half.